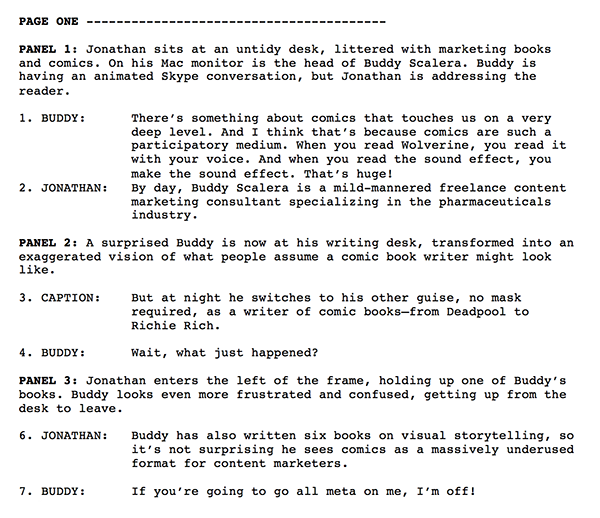 OK, maybe writing this article as a comic script isn’t such a great idea, even if prose is at a disadvantage when discussing such a visual medium. Buddy, you can come back now. “The thing about comics is that it’s a different medium and has different sticking power,” he says. Yet the medium has become almost inextricably associated with a tiny handful of genres, perpetuating the idea that comics are merely escapist entertainment and definitely not something to be taken seriously, never mind professionally. 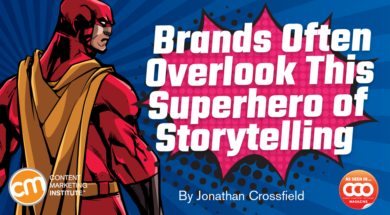 While these genres can help brands and marketers reach specific audiences or convey certain messages (read about pharmaceutical company Takeda’s partnership with Marvel Custom down below), comics are far more powerful and flexible than many people suspect. As Darren says, “Most of our clients encounter a learning curve of how comics are made. We work with them to get them up to speed pretty quickly. Comics aren’t defined by a particular art style either, cartoony or otherwise. There are many examples of comics that use photographs, fully painted artwork, digital imaging or even collage. It’s the sequence that matters – how one image follows the other to form a narrative in the mind of the reader. Instead of dismissing comics as not worthy or challenging enough for an adult readership, we marketers should embrace their ease and speed of comprehension as a strength. When we’re tasked with getting our information, our message, our stories into someone else’s imagination, surely the easiest route shouldn’t be overlooked? Rather than publicize the launch of Chrome with a traditional press release, Google opted to send a printed comic book to journalists and bloggers. 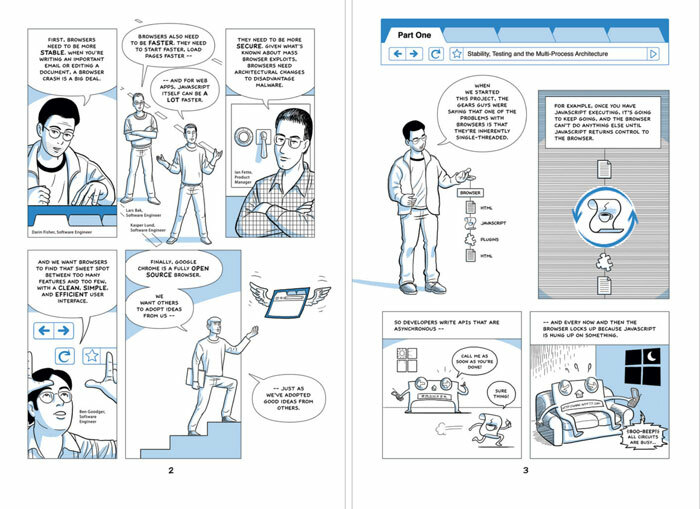 Written and illustrated by Scott McCloud, based on interviews conducted with 20 Google engineers, the comic demystified the browser by explaining the technological concepts and features in a more digestible and engaging format. 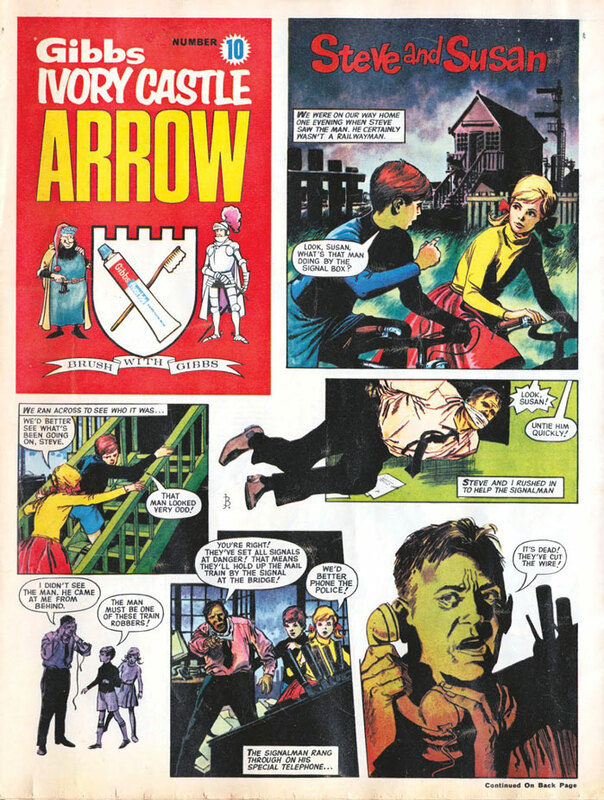 In 1923, U.K. soap and toothpaste manufacturer D & W Gibbs Ltd. set up The Ivory Castle League to “encourage children from the earliest possible age to take an interest in their teeth and mouths.” Between 1963 and 1966, Gibbs Ivory Castle – with its advertising agency, Lintas – published 11 issues of Arrow, a high-quality, eight-page photogravure comic book of adventure and comedy strips, articles, and competitions – with some subtle oral hygiene messaging thrown in. Available free from dentists across the U.K., the comic was a hit among children, becoming an incentive to attend regular checkups to grab the latest issue. Until its merger with Chilean LAN Airlines in 2016, Brazil’s TAM Airlines published an in-flight magazine – TAM Nas Nuvens (In the Clouds). In 2014, TAM wanted to highlight some of the ways it gave back to the community with a regular feature. Content agency New Content decided big blocks of text about the brand could look boring or preachy in an otherwise highly visual magazine, so instead it used comics to tell the stories in a more engaging format. The two-page comic Bagagem Social (Social Baggage) ran in 21 issues of TAM Nas Nuvens, with tales such as how the airline once transported a heart to save a life or carried an athlete to the Paralympics. 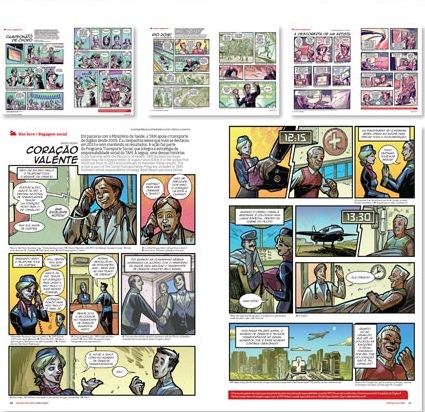 In 2015, the comic won the CMI Content Marketing Award for best regular feature column or section. 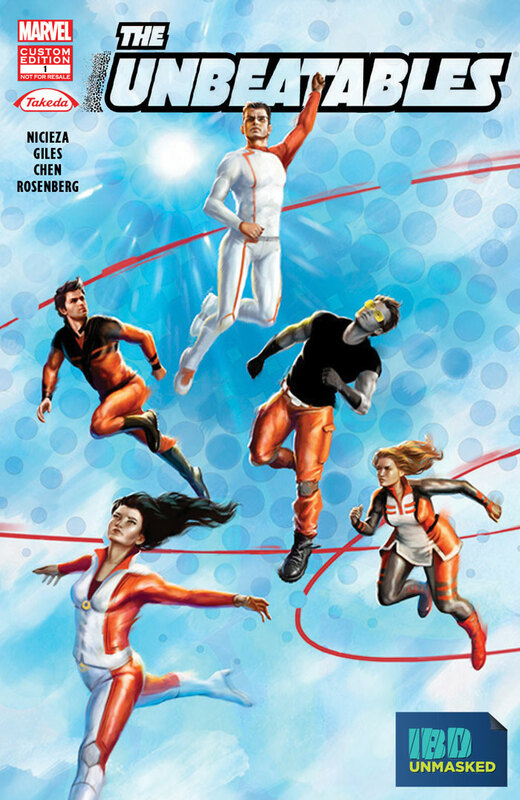 A superhero comic on the topic of inflammatory bowel disorder or IBD might seem an odd pairing, but The Unbeatables graphic novel and comic book series sprang naturally from in-depth interviews and focus groups with people living with and caring for those with IBD. “In these conversations, we noticed patterns emerging,” explains Elissa Johnsen, head of global product and pipeline communications for Takeda Pharmaceuticals International Inc.
Elissa agrees. “Using superheroes and the world of graphic illustration allowed Takeda to help empower people living with IBD to overcome the unpredictability, anxiety and stigma around the disease and, in the process, raise disease awareness within the large audience interested in comics. A version of this article originally appeared in the August issue of Chief Content Officer. Sign up today to receive your free subscription to CCO.